Why Are The Current ADA Recommended Blood Sugar Levels Dangerous To Your Health? According to the American Diabetes Association ADA, a “normal” blood glucose level for non-diabetic individuals, is between 70-130 mg prior to meals and 180 mg after meals. 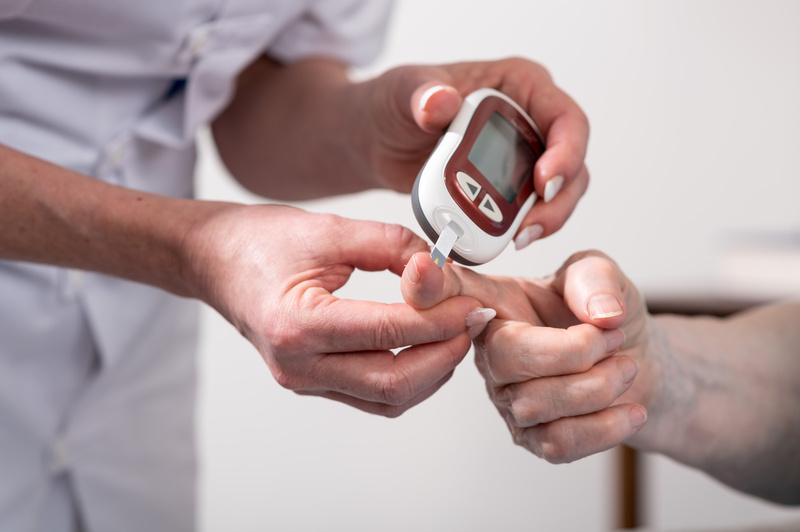 In this article I will address what are safe and normal levels of blood glucose levels. We will look at some studies that illustrate this. I’ll also be sharing with you an alternative to the oral glucose tolerance test (OGTT) that is more realistic and safer to assess diabetes. The OGTT test can be extremely uncomfortable for people that don’t tolerate glucose well and it’s not a very realistic test. I don’t know many people who consume a straight 75 grams of glucose. The chart below is what the ADA considers Normal, Pre-diabetes and Diabetes ranges. Our data suggest that FPG between 91 and 99 mg/dL is a strong independent predictor of type 2 diabetes and should be used to identify people to be further investigated and aided with preventive measures. So clearly the levels recommend just don’t cut it. To accurately access blood glucose levels in my patients I always use a combination of markers and it depends on the particular situation. I might use two or all three and they are A1c, OGGT, and the fasting blood glucose or FBG (fasting plasma glucose (FPG). Each test fills in the picture and gives me more information and reduces a false positive which I’ll talk about later. Let’s look at what a normal range is for your post meal and pre meal blood glucose levels. The scientific research and evidence shows these targets as being in the range of 71–120 mg/dl for 91% of the day. Sensor values were ≤60 or >140 mg/dl for only 0.2% and 0.4% of the day, respectively. The glucose concentrations were slightly higher in children than adults (P = 0.009) and were slightly lower during the night than day (95 vs. 99 mg/dl, P < 0.001).for fasting blood sugar, hemoglobin A1c and either OGTT or post-meal blood sugar. Within that range this study found that the higher the blood sugar levels the more prone to becoming diabetic. In fact your risk increases for developing Type 2 diabetes if you testing 91-99. If you are interested in the research behind this method you can read this book Diabetes Epidemic & You by Dr. Joseph R. Kraft. Dr Kraft monitored hundreds of thousands of his patients over his career and found that insulin resistance was prevalent in many of his patients when he would do the procedure I am going to share with you. This study shows that 1hr post prandial monitoring is a good predictor if you have insulin resistance and will develope diabetes in the future. Currently in America 49%-52% of people are pre-diabetic now. If you used Kraft’ method it would be even more. He found that they didn’t always show diabetic symptoms and that insulin resistance put them a greater risk for heart disease. A much higher risk. There are several techniques that can make this process simple, once you have determined what blood sugar levels are appropriate for you; they are inexpensive, convenient and personalized. You can perform the blood sugar tests in the comfort and convenience of you home, office, vehicle, restaurants, or anywhere else you may be when you need to check it. The equipment can be purchased online for approximately $25. Rather than following one of the hundreds of suggestions and formulas telling you how many carbohydrates you can safely eat, my recommendation will eliminate any confusion, without having to use unnecessary medications. This method also includes the accuracy required to maintain a healthy blood sugar level, and will help prevent cardiovascular disease and metabolic disease. Why? Insulin resistance in the main driver of cardio vascular disease. It will also customize for you precisely what your carbohydrate tolerance is, and accurately inform you of what carbohydrates are safe or unsafe for you, in a safe, easy, comfortable process. If you haven’t guessed already, I am referring to using a glucometer to test your pre and post meal blood sugar levels. By putting this knowledge and equipment into your hands, you are able to take control of your health. It is quite empowering to have control of your health; it saves time, money and possible negative health issues in the future. As one of the simplest, most convenient and accurate diagnostic tools available, I use this method on my patients regularly, and empower them to use it on their own. There are literally hundreds of glucose testing meters on the market, I recommend the Relion Prime meter, which can be found at Walmart, Walgreen’s, Rite Aid, etc., and can be purchased over-the-counter without a prescription. The advantage to this unit are the stripes are affordable compared to other monitors. Relion Prime is used by diabetics world-wide, and includes the use of test-strips and lightly pricking your finger with a sterile, one use lancet. Once you prick your finger with the lancet, a small drop of blood will come through which you touch to the test strip. Then, you insert the test-strip into the meter; after several seconds to one minute, your blood sugar level is revealed digitally on the meter. The test strips, just as the lancets, are “one use” items that will need to be purchased regularly. On day four, rather than eating your typical lunch, you will eat 60-70 grams of “fast-acting” carbs; a boiled potato or a cup of white rice will do. While we are going through the testing stages, it’s important to avoid fat for this meal, as this slows down the absorption of glucose. *To convert these numbers to mmol/L, use this online calculator. The goal is to make sure your blood sugar doesn’t consistently rise higher than 140 mg/dL an hour after a meal, but does consistently drop below 120 mg/dL two hours after a meal, and returns to baseline (i.e. what it was before you ate) by three hours after a meal. If you normally eat low-carb (less than 75g/d), your post-meal readings on the fourth day following the simple carbohydrate (rice or potato) challenge, will be abnormally high. However, remember that an occasional spike above these targets in the context of other normal blood sugar markers, is usually no cause for concern. The way Dr Kraft helped his patients reduce the pre-diabetic blood sugar levels was through diet. What is going to help you in this process is diagnosing early before the damage is done. The gradient between diabetes and pre usually takes time and most often people don’t start showing symptoms till advanced damage has been done. The less damage the easier it it to heal the body. Get FREE, personalized tips on creating the health you deserve.